What Is Too Much Risk? So as I sit here putting off packing after another great skiing holiday I find myself already looking forward to my next adventure this summer, climbing in Bolivia, and thinking about the various risks. All this week we have watched safety teams carrying out avalanche control work, dropping explosives from helicopters to ensure avalanches happen in a safe way onto closed areas of the mountain rather than being triggered accidentally as happened in Tignes this week with the loss of 4 lives. Whenever I am skiing or climbing, nothing else matters. There is the immediate enjoyment of what I am doing but also complete concentration on what I am doing. It might be low risk such as a gentle on piste ski slope where the concerns can be limited to making sure you don’t endanger anyone else by doing something erratic or watching out for someone else doing just that. My first ever ski instructor was a former international ski racer and he’d only ever suffered 2 major injuries when beginners collided with him while he was teaching other groups. 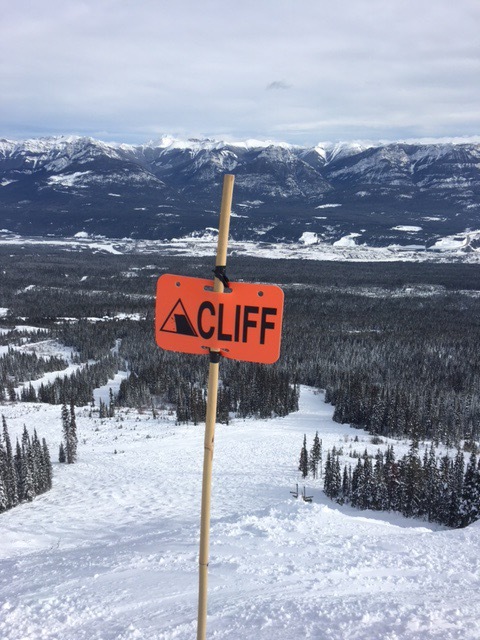 The higher risks come on the steeper slopes when skiing where a mistake may see you falling and unable to stop until you hit something or you may go over the edge of a cliff. When I get to Bolivia I will climbing close to 6500m above sea level where there is less than half the oxygen available to breathe as you would find on a nice sunny beach. Everything becomes more laboured and decision making can become distorted. The oxygen level in the blood drops to around 60-65% which is normal at that altitude but walk into a British hospital with those levels and you’ll quickly find yourself receiving a lot of attention. So why do it, when does it become too risky? For me there is sheer enjoyment of being in this environment. That and the challenge of succeeding at those levels outweigh the risk. As I cycle down Holme Moss it’s about the thrill of the speed, usually 45-50mph. The gradient is 1:8, for every 1 metre you descend you travel 8 metres forwards. On the following ski slope it’s no longer about speed but about control and the challenge. The gradient here is 7:1, for every 7 metres you descend you only travel 1 metre forwards. Finding steeper slopes becomes harder so you start to look for longer ones. But what about the risk? There is the risk of injury but for me even more so, the risk to other people. If I fall and injure myself, that is my choice but someone will have to come and get me and they are the ones facing the bigger risk. In 2003 I broke my leg at the top of a mountain in a bit of a freak accident and in a relatively low risk environment. However, a 2 man rescue team had to come to my aid, load me into a stretcher and then ski down a very long slope holding onto me to get me to safety and medical assistance. So when does it become too risky? 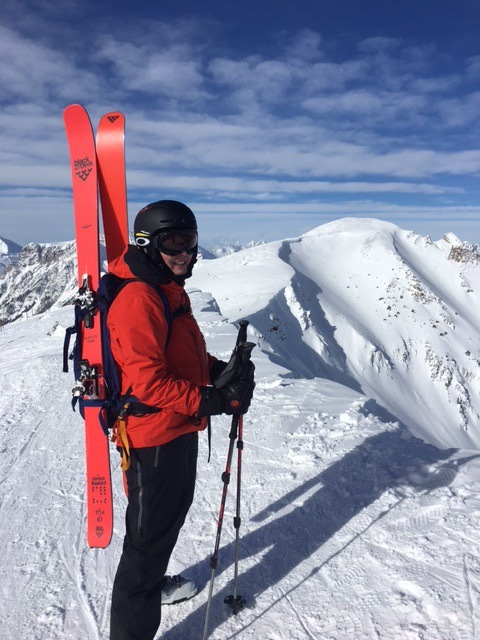 Last year, Tomaz Jakovcic, a top Slovenian guide invited me to climb and then ski off Denali with him. Temperatures of -40c are common and the slopes are again around 7:1 but icy and over 1000m long. If you fall, you don’t stop. I’m fairly certain I could do it but I won’t. Not because of the risk to me but because of the risk to him. If I make one mistake it could cost him his life and for me that is too much. I will climb it with him in a couple of years time but I will climb down, not ski. I know he’s a bit disappointed about this as his wife was the first woman ever to ski off Denali and he has yet to do the same. He needs a paying client to do it however, it just won’t be me. I’ve also been asked several times, would I climb Everest? The answer, I would love to, both Tomaz and a Nepali guide I’ve climbed with before, Pimba Tenjing, have offered to lead me but again the risk is too high. Not for my own safety but for those around. Around 2.3% of all who attempt to climb Everest don’t come back alive. This rate is falling every year but the trouble is who is dying. 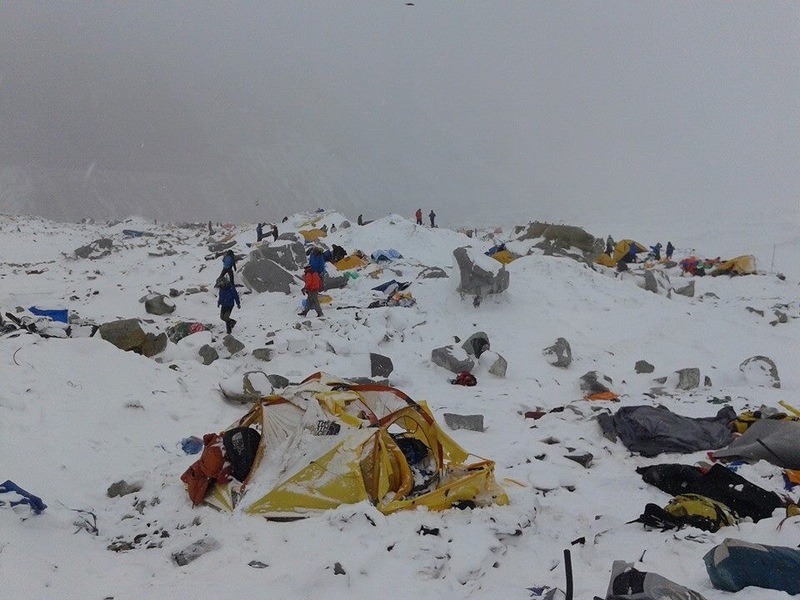 Over half of all the deaths are porters and sherpas, underpaid and overworked. They are placed at great risk for the benefit of paying clients and I would not accept that risk just for my own gratification. A good friend of mine, Dukchung Lama, was working on Everest as a porter in April 2015 when the big earthquake hit. He survived but 14 people didn’t. This is his tent, he got out of it 30 seconds before it was hit. For me I know that my risk threshold is higher than some. If I get it wrong I know that it will hurt, if I get it right the reward is there. I know that it is my choice to take the risk which is why my line in the sand is drawn where I perceive that the risk is too high for others who are supporting me or will have to come and get me if I make a mistake. 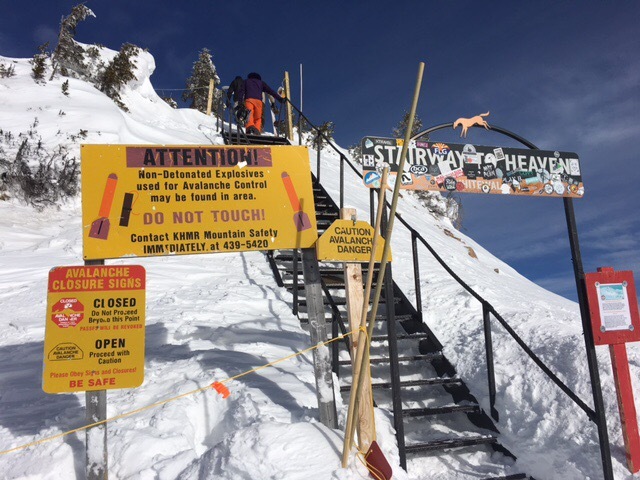 For now though, this sign will always be an invitation to have a look and see if I can make the jump – so long as I can get out safely if it goes wrong! sandi on Who Do You Think You Are?